South Hills Burbank – Sun 12/23 @ 8:30am, 10am, 11:30am. Mon 12/24 @ 2pm, 3:30pm, 5pm. Emmanuel Church – Sun 12/23 @ 9:30am, 11am. Mon 12/24 @ 11pm (candlelight). Story City Church – Sun 12/23 @ 10am (1 service only). Burbank Pres – Sun 12/23 @ 9:15am, 11:15am. Mon 12/24 @ 7:30pm (candlelight). Calvary Chapel Burbank – Sun 12/23 @ 8:30am, 10:30am. Mon 12/24 @ 7pm (candlelight). Village Church – Sun 12/23 @ 11am. Mon 12/24 @ 4pm & 6pm. Calvary Bible Church – Sun 12/23 @ 9am. Mon 12/24 @ 7pm. CityLight LA – Sun 12/23 @ 8:45am, 11am. Candlelight @ 5:30pm. Media City Church – Sun 12/23 @ 9:30am, 11am. Mon 12/24 @ 6pm. Redeemer Burbank – Sun 12/23 @ 10am. Calvary Chapel Burbank – Good Fri @ 12pm & 7:30pm. Sun @ 8:30am & 10:30am. Salvation Army Burbank – Good Fri @ 7:30pm. Sunday @ 11am. Forest Lawn – Hollywood Hills Easter Sunrise Service from 6-7 a.m. Sermon by Pastor Rick Durrance from Emmanuel Church. The LA Egg Drop is back! Last year, over 2000 people attended this FREE family event! We have more fun in store for you and your family this year! Thousands have attended Story City Church’s free community events over the last two years. We expect this event to sell out. Please only register for the number of kids you plan to bring. You can register for additional attendees later if needed. As with every community event hosted by Story City Church, there is no religious presentation or content. Emmanuel Church – Easter Eggstravaganza Family Carnival! Easter Eggstravaganza Family Carnival! Everyone is Welcome! SATURDAY, MARCH 31, 11 a.m. to 2 p.m. Free activities for all: egg hunts, photos with the Easter Bunny, inflatables, face-painting, games for the whole family, and more (as well as food for purchase). EGG-HUNT TIMES: 11:30 am – Ages 3 & under. 12 pm – Ages 4 to 1st Grade. 12:30 pm – 2nd to 5th Grade. Eggstravaganza activities will be at the southeast corner of the church near the corner of 5th and Cypress. South Hills Burbank – Sun 12/24 @ 10am, 11:30am, 3:30pm & 5pm. Everyone you know may have differing perspectives on God, Christianity, and the Bible, but one thing most people have in common is a genuine desire to love & lead their families well. We want our romance to last. We want to set our kids up for success. We want to leave our families something other than a laundry list of issues to overcome in therapy. We all want these things. We’re just not always sure how to go about getting them. 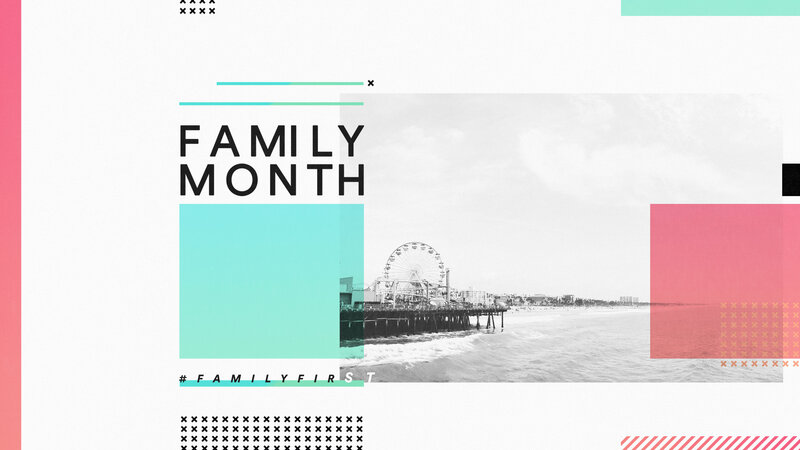 Family Month is about setting aside 5-straight weeks to focus on just that. This October we’ll explore ancient wisdom, cautionary tales & best practices together in hopes of learning how to help our families, current or future, be as holistically healthy as possible. What kind of fun can you expect from us? Since day one, we have been a church that believes every story matters and no story is too bad, too good, too mad, or too far from God to matter to Him. This past spring and summer, our church had reached the point where our auditorium felt too full for new faces to feel at home. Because of this, we knew it was time to start again and make more room for more stories, which includes yours. Starting this Sunday, October 8th, we are moving to two identical services starting at 10:00am & 11:30am. Both services will have kids ministry for birth through 5th grade. We also begin a brand new series this weekend titled “The Ever Chasing GOD – a Journey through the Book of Jonah”. Scripture, Faith, Grace, Christ & Glory to God alone. Pumpkin Carving, Hay Ride, Jumper, Obstacle Course, Face Painting, Picture Book. BYO Pumpkin. Dinner avail. Admission: $5. Community outreach with free food, candy, cotton candy, popcorn, inflatables, carnival style games, face painting, prizes. See this Video from previous event. Gift of Life Banquet @ The Castaways – Thursday, Oct 12 from 6pm. Crisis Pregnancy Clinic (aka Avenues Pregnancy Clinic) fundraiser feat. keynote address by Kevin Sorbo (Hercules, God’s Not Dead). Live Music, 3-Course Meal, Testimonies.